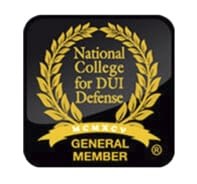 New Jersey laws governing driving while intoxicated (DWI) or driving while under the influence of other drugs (DUI) are purposefully strict in order to deter these actions, making it critical to contact an experienced DWI/DUI attorney if you have been arrested for this type of offense. Conviction for a DWI or DUI offense in New Jersey, whether it is a first or subsequent offense, can have far-reaching implications in your life and can significantly impact your finances and ability to work, as well as your freedom of movement. 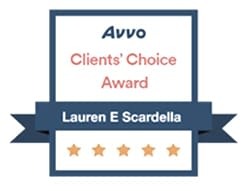 At the Law Offices of Lauren E. Scardella, I am a Robbinsville DWI lawyer who has successfully defended hundreds of clients who were arrested under suspicion of driving under the influence of alcohol or drugs. My previous experience working for the Mercer County Prosecutor’s Office has taught me to think outside the box in crafting defense strategies that are specifically tailored to each client’s circumstances. If you have been arrested for a DWI or DUI offense in South Jersey, contact my office today so that I can put my skills to work for you. First Offense DWI: If the driver’s BAC was between 0.08% and .010%, he or she can face jail time of up to 30 days, in addition to a 90-day license suspension and various fines and fees. If the driver’s BAC was 0.10% or higher, or if drugs were involved, his or her license can be suspended for between seven (7) months and one year, monetary fines increase, and an ignition interlock device will be placed in the individual’s car for between six (6) months and one year if his or her BAC was 0.15% or higher. First offenders are also required to pay a $3,000 surcharge. Second Offense DWI: Second offense DWI/DUI charges carry jail time of between 48 hours and 90 days, a two-year license suspension, fines, a $3,000 surcharge, and community service, in addition to the requirement that a mandatory ignition interlock device be installed in the driver’s car for between one (1) year and three (3) years. Third or Subsequent Offense DWI: After the driver’s third arrest, a 180-day jail sentence will apply, in addition to a 10-year license suspension, over $1,000 in fines and fees, and a $4,500 surcharge. The traffic stop was inappropriate, meaning that the law enforcement official had no reason to pull you over. The breath test was inaccurate, possibly because the Alcotest machine was improperly maintained, or because of a medical issue. The field testing for sobriety was ineffective, which will require an evaluation of any sobriety tests that you were required to complete before the arrest. Problems with the chain of evidence or discovery process exist. Constitutional violations took place during a search, arrest, or interrogation. No valid probable cause for arrest existed. Law enforcement officials in New Jersey will pay close attention to an individual’s behavior during a traffic stop in order to evaluate the driver’s sobriety even if suspected intoxication was not the initial motivation for the stop. While the police officer must have probable cause to suspect intoxication or drug use to order a field sobriety test, it is important to remember that it is an offense in and of itself to refuse breath testing using the Alcotest machine. If the officer ordered a breath test and you refused, the prosecutor can add this charge to the DWI charge. 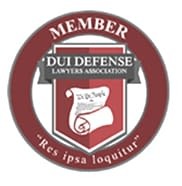 If you have been arrested for a DWI or DUI offense in New Jersey, you cannot afford to wait to contact an experienced DWI defense attorney to advocate on your behalf. Call my office at (609) 587-1144 to schedule an appointment, or fill out this online form. 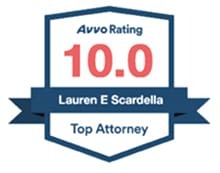 The Law Offices of Lauren E. Scardella is conveniently located at 2653 Nottingham Way STE 1, Hamilton Township, NJ 08619. What is the surcharge that must be paid after conviction for a DWI or DUI? New Jersey law imposes a surcharge requirement that imposes substantial fines on all individuals who are convicted of a DWI or DUI. The surcharge applies in addition to otherwise applicable monetary fines and fees. First and second offenders must pay a $3,000 surcharge, which is payable in $1,000 installments over three years. For third and subsequent offenders, the surcharge is increased to $4,500, also payable over a three-year period. What does probable cause for arrest mean? A law enforcement officer in New Jersey must have probable cause to arrest you for a DWI or DUI. Generally, police officers can pull you over if they have reasonable suspicion that you were driving under the influence, or if you were speeding or committing another type of traffic violation at the time of the traffic stop. Probable cause to require field sobriety testing is generally established by the officer’s observations of your behavior and your appearance during the traffic stop, or by your erratic driving prior to the stop. This is generally a low standard, but a skilled criminal defense attorney can help craft a defense against improper traffic stops on the basis of a lack of probable cause.